With a name like "Death Wish", it's no wonder why the question of, "will I die from this?" occurs so frequently. 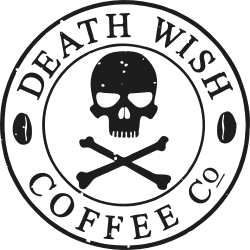 While Death Wish Coffee is highly caffeinated on levels beyond mortality - the answer, in short, is no. It would actually take upwards of 30 cups of any brand of coffee in one sitting to see negative side effects. Does Strong Coffee Hurt Your Stomach?